A series of lapses triggered by the hurry to launch the 500 MW power unit is suspected to be behind the deaths of 42 people in the 1 November accident, ThePrint finds. Unchahar (Uttar Pradesh): Was the boiler explosion in the National Thermal Power Corporation’s Unchahar plant caused by a violation of safety norms? Why were more than 300 casual workers present in the vicinity of the boiler that exploded, when just about half-a-dozen workers are needed to operate a boiler? Is it because the plant was commissioned in a hurry and cleared for commercial operations even before civil works were complete? Were warning signals about problems in the boiler ignored or brushed under the carpet? More than a week after one of the worst accidents in India’s power sector, these and other questions are coming to the fore as investigators try to establish what caused the explosion that killed 42 workers on 1 November. 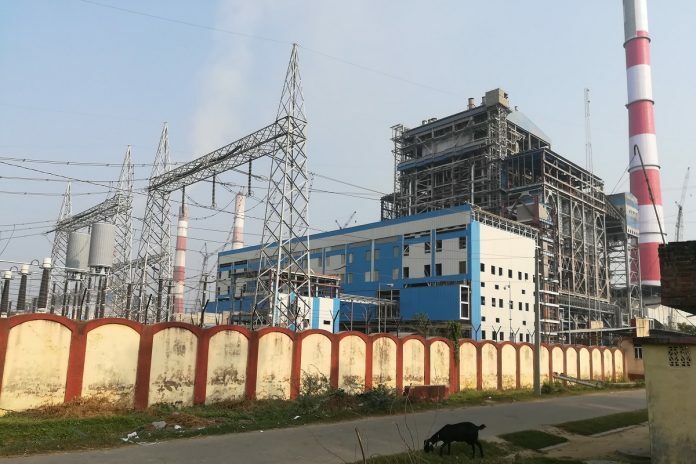 The explosion took place at the 500 MW Unit 6 of NTPC’s plant in Unchahar in Rae Bareli district of Uttar Pradesh, when the workers were trying to clear coal clinkers stuck in the boiler. NTPC had said the accident happened when hot flue gases and steam escaped from an opening in the boiler following a “sudden abnormal sound”. An investigation by ThePrint in Unchahar, however, indicates that a series of lapses could have led to the accident at the unit of India’s largest power utility, a public sector ‘Maharatna’ which contributes 24 per cent of the country’s total power generation. The sixth unit of the plant was announced by the UPA government in August 2013, and construction started 16 months later in December 2014. NTPC was constructing this unit in collaboration with Bharat Heavy Electricals Limited (BHEL) and NTPC BHEL Power Projects Private Limited (NBPPL), a joint venture company of NTPC and BHEL. The original deadline to commission the unit was December 2016, or 40 months from the time it was announced in August 2013. However, NTPC sought to make up for the delay in beginning construction by aiming to complete work in 26 months, and commissioning the unit in March 2017. On 30 March 2017, then Union power minister Piyush Goyal told the Lok Sabha that the unit would be complete the next day. On that day, 31 March, the unit was synchronised – meaning the power it generated was connected to the supply grid for transmission. On 30 September, the unit began commercial generation of power. In fact, the NBPPL website cites the completion of the unit as a “historical success”. R.K. Sinha, group general manager of NTPC Unchahar, refuted questions about whether a rush to complete the project may have led to the accident. However, NTPC insiders and power sector experts with knowledge of the Unchahar plant who spoke to ThePrint raised serious questions about the process of commissioning the plant, and listed possible lapses that could have contributed to the 1 November tragedy. • The new unit of a thermal power plant normally starts commercial production two months after synchronisation. However, in this case there was a gap of six months. Shailendra Dubey, the Lucknow-based chairman of the All India Power Engineers Federation, an independent outfit, said this indicates “the plant was incomplete” when it was synchronised on 31 March. • All infrastructure associated with the unit should be ready before the Central Electricity Authority gives its commercial operation declaration (COD), or formal regulatory approval. “The ash handling system and the dry ash evacuation system were not complete, and it must be investigated how the COD was given for an incomplete plant,” said V.K. Singh, a coal handling plant manager at NTPC’s plant in Kanti, Bihar, and president of the Association of Power Executives (Apex), Kanti. • A boiler in a unit needs less than half-a-dozen workers to operate it. However, there were 311 workers at the sixth unit on 1 November when the explosion took place. Labour contractors in Unchahar told ThePrint that most of them were deployed by contractors for civil work such as painting, isolation of boilers, and other construction work. “I was supervising the painting work done by 38 workers on the floor when the blast took place,” Arvind Kumar of Umran Village in Unchahar told ThePrint via phone from his hospital bed in Lucknow, where he is being treated for burn injuries. “When the unit was ready, what were more than 300 workers doing there when it takes just four or five to run the boiler?” asked Manoj Kumar Pandey, the Samajwadi Party MLA of Unchahar. • The unit has to be shut down for clinkers to be removed from the boiler. However, the sixth unit was running even as the workers tried to remove the large clinkers. “We at NTPC are always under pressure to continue production despite an obstruction like this. It is a wrong practice, but it has become normal,” V.K. Singh said. • The sixth unit is also suspected to have reported problems in the run-up to the accident. The unit tripped twice on 1 November, first at 12.30 pm and then at 3.36 pm, seconds before the explosion. Tripping indicates that the unit was overloaded and had to be shut down. • Three NTPC assistant general managers were present at the unit along with casual workers who were trying to remove clinkers that had gone up to a height of 20m in the boiler. “Twenty metres in the boiler means almost 60 per cent of the boiler was packed. Never ever in the history of NTPC it has happened that even after this much ash formation, the plant was kept running,” said V.K. Singh. Two of the three AGMs died of their injuries and the third is on ventilator support. NTPC has called the accident an “uncommon and rarest of failure” and promised a probe report within 30 days. “An expert committee of top company executives would rigorously examine each and every possible cause of the incident which led to the failure of the economiser section in the boiler resulting in the exhaust of flue gases,” NTPC said in a statement on 6 November. “This is uncommon and rarest of failure. The expert committee is headed by senior most executive director, Sh. S.K. Roy along with two general managers who will submit report within 30 days. Multiple teams of NTPC and experts from equipment manufacturer BHEL are analysing the cause of the incidence [sic],” it said. Investigation in such cases ought to be conducted from a mix of people from different agencies for an independent findings & advisory for future. Upto oneto two metres itself is uncommon. Leaving this to 20 metres is a clear misnomer. The main culprit is sending undeserving people on the responsible position. People with track record of stubbornness and oppressiveness have been selected due to culture of favoritism. Immense pressure on employees took the incident to happen.strict guidelines must be framed to avoid such type of incident.